What is Online Construction Project Management Software? Construction Project Management Software allows you to efficiently manage your construction projects. This type of software helps firms to increase project productivity and accountability by streamlining project communication and documentation. 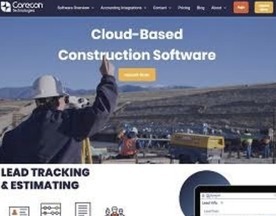 Construction Management software helps everyone involved collaborate on projects to access things like project documents, contracts and drawings.